The Top-60 workout is an elite camp in Indianapolis for the top players in the state of Indiana. The top 60 workout is hosted by Hoosier Magazine for the top 60 players in the state with two sessions available not only for players but also for the public. The first session (1:00-3:00) is for half of the top 60 selects and the second session (3:30-5:30) is for the last half. All of this is directed by 7-time state championship coach Rick Risinger from Heritage Christian High School. 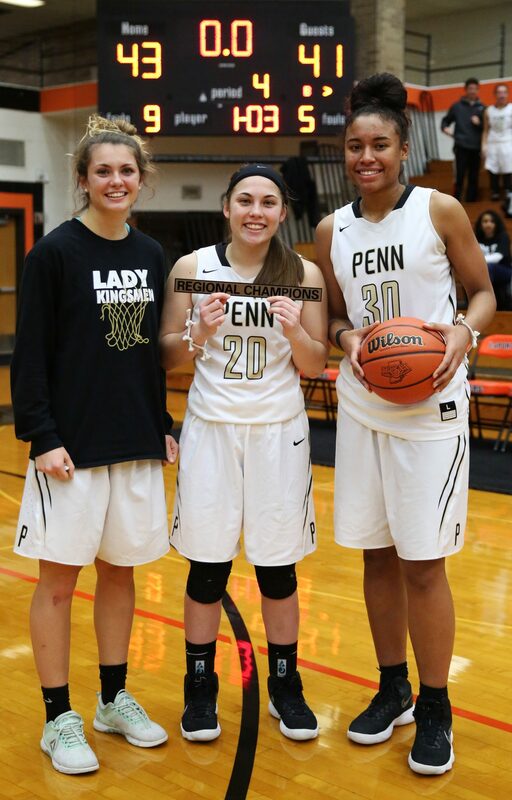 The two of the Top 60 selects from Penn High School are senior guard Sara Doi and senior post Tia Chambers. Sara Doi ended her season averaging 12.3 ppg, 3.9 rebounds, 2.6 assists, and 2.1 steals. Tia Chambers averaged 8.9 ppg, 7.0 rebounds, 0.7 assists, and 1.1 steals. Sara Doi and Tia Chambers were on the state championship team back in 2015-2016. These two players along with Senior co-captain Victoria Smith have left their mark on the PGBB program by leaving with the titles of being the most winning-est players in program history.